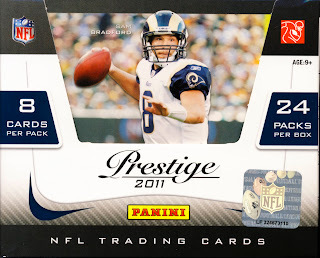 Panini releases its first football product for 2011, Prestige Football. Using cards that were created live during the 2011 NFL Draft, Prestige offers a nice mix of Current Players and Rookies with a concentration on the incoming class. Here is our video box break.